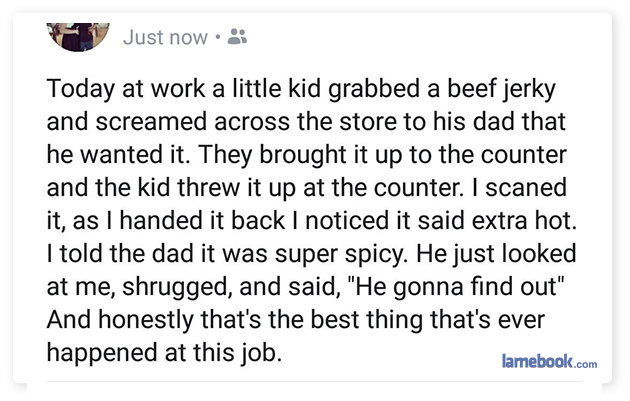 Selling an extra spicy piece of beef jerky to a spoiled little kid is the best thing that ever happened to you at this job? Well, OK. Maybe some people shouldn’t set their standards too high. I can’t imagine working the checkout at a convenience store is very exciting.